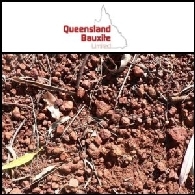 Queensland Bauxite Limited (ASX:QBL) is most pleased to announce that the Company has received the formal approval letter for its application for reinstatement to the official list of ASX Limited. 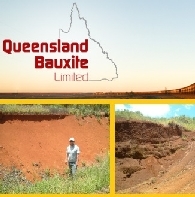 Queensland Bauxite Ltd (ASX:QBL) provides the Company&apos;s Quarterly Activities Report. 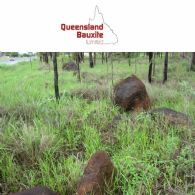 Queensland Bauxite Ltd (ASX:QBL) provides the Company&apos;s cover note and second supplementary prospectus. The Board of Queensland Bauxite Limited (ASX:QBL) is very pleased to announce a materially strategic transaction, that its soon to be wholly owned subsidiary Medcan Australia, has entered into a Strategic Collaboration and Supply Agreement Signed with an established Canadian Licensed Producer of Medical Cannabis. 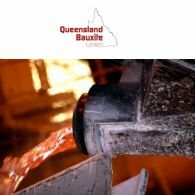 Queensland Bauxite Ltd (ASX:QBL) provides the Company&apos;s Annual Report to shareholders. The Board of Queensland Bauxite Limited (ASX:QBL) is very pleased to announce a materially strategic transaction, that its soon to be wholly owned subsidiary Medcan Australia, has entered into a memorandum of understanding with top Israeli medicinal cannabis company Pharmocann. This attached supplementary prospectus of Queensland Bauxite Ltd (ASX:QBL) has included some updated information on the original prospectus that was lodged with the ASIC on 27 September 2018. The Board of Queensland Bauxite Limited (ASX:QBL) is pleased to announce that its soon to be wholly owned subsidiary, Medcan Australia, has secured a Medical Cannabis Manufacture Licence under the ODC. 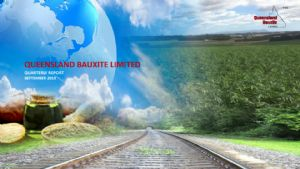 Queensland Bauxite Ltd (ASX:QBL) Prospectus has been prepared for an offer of up to 170,000,000 new Shares at an issue price of $0.035 per Share to raise up to $5,950,000, with a minimum subscription of $1,995,000 together with one (1) free attaching Option for every two (2) Shares subscribed for and issued. The Board of Queensland Bauxite Limited (ASX:QBL) is pleased to present a set of proposed resolutions and explanatory statements, which will see the merger of Medical Cannabis Limited into the Company and the acquisition of MedCan Australia, enabling the Company to have all the licences and facilities currently needed, to progress the Cannabis business and humanitarian goals of the company. The Board of Queensland Bauxite Limited (ASX:QBL) is pleased to advise that it has entered into a Heads of Agreement with Sebastian and Samuel Edwards to acquire their Health Food Brands. The Board of Queensland Bauxite (ASX:QBL) is pleased to announce a materially positive update regarding the company&apos;s research into the use of medical cannabis in autoimmune disease treatment. Queensland Bauxite Ltd (ASX:QBL) provides the Company&apos;s Quarterly Report. Further to the Transformation Announcement made on 20 June 2018, the Board of Queensland Bauxite Limited (ASX:QBL) has recognised that due to current market conditions, the intended capital raise at 8c is no longer an immediate practical option. As a result, the Board has decided to amend the raising price for the recompliance. Queensland Bauxite Limited (ASX:QBL) is delighted to announce that Medcan Australia, has now been issued with both an Import & Export Licence under the ODC. As reported in the announcement released by Queensland Bauxite Limited (ASX:QBL) on 13th July 2018, the Notice of Meeting for the recompliance transactions is still being drafted and is yet to be reviewed by the ASX. The following table is the timeline to which the Company is currently working towards for the completion of the transactions and the recompliance requirements. Since a Q&A on the ASX forum was announced (2 July &apos;18), Queensland Bauxite Limited (ASX:QBL) has received many questions mainly by shareholders who were daunted by the 131 page announcement and are eager to understand further the Company&apos;s current strategy. It is obvious by the many genuine questions and observations from shareholders to Queensland Bauxite (ASX:QBL) that although six weeks was spent both by the company and ASX to make sure that the company merger/re-compliance announcement informed shareholders to the maximum, nevertheless there are still questions arising from the lengthy announcement which some shareholders feel need to be addressed. Because of a few poignant questions on yesterday&apos;s significant Queensland Bauxite (ASX:QBL) announcement there are dominating queries sent to the Company that obviously need clarification. Pnina Feldman&apos;s Queensland Bauxite Limited (ASX:QBL) has announced today that QBL is undertaking a significant transformation of the Company from a mining exploration company with a Medical Cannabis subsidiary to a new major global Cannabis player through a 100% merger of its 55% owned subsidiary, Medical Cannabis Limited and the new 100% acquisition of Medcan Australia. The Board of Queensland Bauxite Limited (ASX:QBL) is excited to announce that the Company and its subsidiary, Medical Cannabis Limited have entered into a legally binding heads of agreement to acquire a 100% interest in Medcan Australia Pty Ltd. The Board of Queensland Bauxite Limited (ASX:QBL) is delighted to announce that the ASX has approved the Company&apos;s Announcement to be released. The Company intends to release the announcement on Thursday 21 June 2018. QBL will recommence trading on the ASX following the release of the Announcement. Members of the Queensland Bauxite (ASX:QBL) management team responsible for the development of the South Johnstone Bauxite Project, headed by QBL&apos;s Chief Geoscientist Dr Robert Coenraads PhD, are currently visiting several Chinese bauxite refineries and aluminium smelters whose executives have expressed interest in partnering in the development of our South Johnstone Bauxite Project. The Board of Queensland Bauxite Limited (ASX:QBL) is delighted to announce that its subsidiary, Medical Cannabis Limited has entered into a binding MOU with Burleigh Heads Cannabis Pty Ltd. BHC has a medical cannabis import license approved by the Office of Drug Control, and has Government approved secure storage facilities for medical cannabis products. 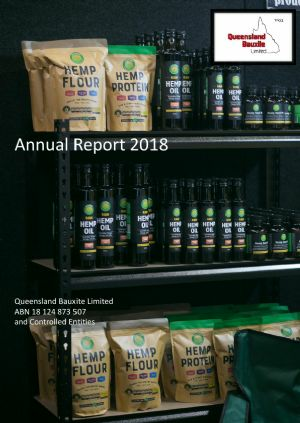 The Board of Queensland Bauxite Limited (ASX:QBL) is pleased to advise that Red Tractor have now supplied hundreds of Coles stores around Australia with various products and oil blends that have hemp ingredients included exclusively supplied by QBL&apos;s subsidiary Medical cannabis Limited and its hemp seed food subsidiary VitaHemp Pty Ltd. 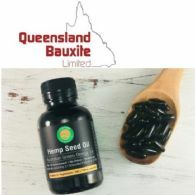 The Board of Queensland Bauxite (ASX:QBL) are pleased to advise that Medical Cannabis Limited through its subsidiary VitaHemp Pty Ltd, has announced the release of a very first to market, Australian grown and processed Hemp Seed Oil soft-gel capsules. The Board of Queensland Bauxite (ASX:QBL) is pleased to advise that Medical Cannabis Limited through its subsidiary VitaHemp Pty Ltd, is announcing the release of a first of its kind to the Australian market, Australian grown and processed Hemp Seed Oil soft-gel capsules. The board of Queensland Bauxite Limited (ASX:QBL) is pleased to update the market on developments in the drug development strategy for its subsidiary, Medical Cannabis Limited. MCL, in conjunction with Certara, a pharmaceutical consulting firm, have developed a drug development strategy for the distribution of Canntab XR medication in the Australian market. The Board of Queensland Bauxite (ASX:QBL) is pleased to advise that it has cleared the company&apos;s outstanding debt by way of share issue. The Directors present their report on Queensland Bauxite Limited, consisting of Queensland Bauxite Limited (ASX:QBL) and the entities it controlled at the end of or during the half-year ended 31 December 2017. The Board of Queensland Bauxite Limited (ASX:QBL) is pleased to announce that its subsidiary company Medical Cannabis Limited through its wholly owned subsidiary Medical Cannabis Research Group Pty Ltd, has signed a Research Funding Agreement with the Research & Development Foundation at the Technion Institute, Haifa, Israel. 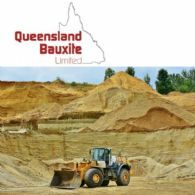 Queensland Bauxite Limited (ASX:QBL) provides the Company&apos;s Quarterly Activities Report. I am delighted and proud on behalf of the Board of Queensland Bauxite Limited (ASX:QBL) to inform our shareholders that Mr John Easterling has agreed to join the board of our Cannabis subsidiary Medical Cannabis Limited. The Board of Queensland Bauxite Ltd (ASX:QBL) is thrilled to be involved in bringing to Australia, through its subsidiary MCL, a fundamentally new product in the world cannabis market, and especially in the Australian market that should be one that will be accepted by the medical industry at large due to the unique benefits and advantages enumerated below. 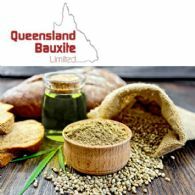 The Board of Queensland Bauxite (ASX:QBL) is pleased to update its shareholders about the significant progress that its subsidiary company Medical Cannabis Limited (MCL) has recently made in executing its business plan and particularly in relation to MCL&apos;s Vitahemp food company and its impressive client list. The Boards of Queensland Bauxite Limited (ASX:QBL) and Algae.Tec Ltd (ASX:AEB) are delighted to announce a significant Australian ground breaking agreement whereby AEB will exclusively license Medical Cannabis Limited&apos;s Low THC Delta 9 Cannabis cultivars from the unique Australian Cannabis seed bank owned by Medical Cannabis Limited. The Board at Queensland Bauxite (ASX:QBL) is excited with the recent success and progress of its investment in Medical Cannabis Ltd, particularly as the medicinal focused arm of that Company, Vitacann, has signed a Letter of Intent for a joint venture subject to full documentation with an Israeli recommended group of North American chemists. The Board of Queensland Bauxite (ASX:QBL) is pleased to provide an update on the South Johnstone Bauxite Project. This week provided further major milestones in Queensland Bauxite&apos;s (ASX:QBL) investment in Medical Cannabis Ltd. MCL has made major progress in its Vitahemp brand&apos;s "farm-gate to retail" fully vertically integrated journey. Mass production and mass farming is now underway and Australia&apos;s largest current hemp seed import for sowing has now cleared quarantine for MCL. The Board of Queensland Bauxite (ASX:QBL), is anticipating that the successful launch of these premium all-Australian products, will generate significant cashflow for the Company in 2018, and enable dividends for shareholders. 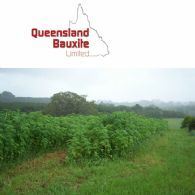 The Board of Queensland Bauxite (ASX:QBL) considers that a monumental milestone has been reached by Medical Cannabis Limited, QBL&apos;s Hemp Seed Food production and medicinal Cannabis investment company. A significant milestone has now been reached in Australia that has a major positive impact on the potential business, cashflow and profitability for Queensland Bauxite Limited&apos;s (ASX:QBL) investment in Medical Cannabis Limited. During the September Quarter 2017, Queensland Bauxite Limited (ASX:QBL) continued to press to progress the development of its flagship South Johnstone DSO bauxite project in northern Queensland, with the Company aiming to generate positive net cash flows in the short term through the commencement of DSO bauxite production and shipping. The Board of Queensland Bauxite (ASX:QBL) is most excited to announce that via its subsidiary Medical Cannabis Ltd, the initial sample range of hemp products under the name Vitahemp, will be ready for introduction to the Australian market in November 2017. Hemp foods are an extremely nutritious form of food product made from low THC Cannabis. The Board of Queensland Bauxite Limited (ASX:QBL) is pleased to announce that further to the significant progress that its subsidiary Medical Cannabis Limited has been making in its business and product development, EndoCRO Ltd an iCAN:Israel-Cannabis company, has been selected as a research and product development arm on a contract basis. The Board of Queensland Bauxite (ASX:QBL) is pleased to announce that the Department of Natural Resources and Mines has now formally approved the Mineral Development License for the South Johnstone Bauxite Project. As soon as hemp seed food products become legal from November 12, Nimbin-based producer Vitahemp will be ready to start selling. The Directors of Queensland Bauxite Ltd (ASX:QBL) present their report together with the consolidated financial statements of the Group comprising Queensland Bauxite Limited ("the Company" or "QBL") and its subsidiaries, for the financial year ended 30 June 2017 and the independent auditors report thereon. Queensland Bauxite Limited (ASX:QBL) is proud to report on Medical Cannabis Limited (MCL)&apos;s progress with a major milestone achieved this week. 20 tonnes of certified low THC hemp seed for sowing has been secured so that MCL will be able to grow enough low THC cannabis. Queensland Bauxite Limited (ASX:QBL) is pleased to announce preliminary findings in relation to cannabinoid testing performed by its subsidiary Medical Cannabis Limited of some of MCL&apos;s low THC Cannabis cultivars. (THC is tetrahydrocannabinol Delta 9, a medical compound produced by Cannabis plants). The Board of Queensland Bauxite (ASX:QBL) is pleased to announce that the Department of Natural Resources and Mines has now formally approved the work programme intended under the MDL. The Board of Queensland Bauxite (ASX:QBL) is delighted to announce that Mineral Development License approval has been progressed for the South Johnstone Bauxite Project at Camp Creek in Queensland with the important decision received today from the DEHP to approve the amendment to our previous Environmental Authority, to allow for the work programme intended under the MDL. 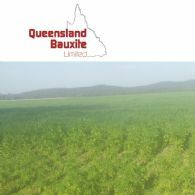 Queensland Bauxite Ltd (ASX:QBL) is delighted to announce that its subsidiary company Medical Cannabis Limited has reported success with its previously announced winter trial crops. During the June Quarter 2017, Queensland Bauxite Limited (ASX:QBL) continued to press to progress the development of its flagship South Johnstone DSO bauxite project in northern Queensland, with the Company aiming to generate positive net cash flows in the short term through the commencement of DSO bauxite production and shipping. This is a reminder notice that your options to subscribe for ordinary fully paid shares in Queensland Bauxite Limited (ASX:QBL) will expire at 5:00pm Australian Western Standard Time on 31 July 2017. 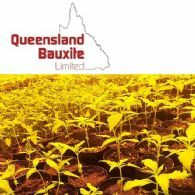 Queensland Bauxite Ltd (ASX:QBL) is excited to announce that Medical Cannabis Limited has confirmed successful germination and growth rates of its pioneering winter Cannabis crop. It has come the attention of Queensland Bauxite Ltd (ASX:QBL) that there has been some confusion between Andrew Kavasilas of Medical Cannabis Limited and Andrew Katelaris. Andrew Katelaris, Dr Pot, allegedly caught last week with cash and cannabis, and consequently arrested, is NOT the Andrew Kavasilas of Medical Cannabis Limited. The directors of Queensland Bauxite Ltd (ASX:QBL) are excited to inform our shareholders that completion of the acquisition of 55% of MCL has occurred today with the issue of 49 million shares in QBL to the shareholders of MCL. As the directors of Medical Cannabis Limited (MCL) are drafting a prospectus for an independent ASX listing of MCL, the Board of MCL in conjunction with the QBL (ASX:QBL) Board, have decided that the MCL Initial Public Offering (IPO) will be giving Queensland Bauxite shareholders preference to take up shares in the anticipated MCL Listing on ASX. 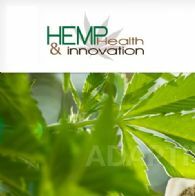 Andrew Kavasilas, Technical Director of Medical Cannabis Limited (MCL), has been interviewed by 2Ser 107.3 in relation to the work that he has been doing with Medical Cannabis Limited and Vitahemp, and in preparation for the upcoming Hemp Health and Innovation Expo, Australia&apos;s largest Cannabis Expo. Andrew also discussed general information on the industry and Cannabis. On the 10th March 2017, Andrew Kavasilas, Director of Medical Cannabis Limited received permission from the Department of Primary Industries to start an indoor grow project of low THC Cannabis, in preparation for the Hemp & Health Innovation Expo in May as a continuation of the Company&apos;s existing Cannabis growing and research project. Following yesterday&apos;s announcement, Andrew Kavasilas of Vitahemp Pty Ltd has met with a Senior Policy Adviser from the Department of Primary Industries in NSW, where they discussed various initiatives that will help to develop and establish Trade and Industry Standards in relation to the newly approved Australian grown hemp seed food market. On Friday 3rd May and Monday 6th May, Queensland Bauxite Limited (ASX:QBL) had productive and positive meetings with officers of the Department of Environment and Heritage Protection in Cairns and the Department of Infrastructure, Local Government and Planning in Brisbane. Andrew Kavasilas, Technical Director of Vitahemp and Medical Cannabis Limited will be meeting this morning with a senior policy advisor from the Department of Primary Industries, at the cabinet office, to provide his assistance to the DPI in developing the detailed components of the newly approved decision. Queensland Bauxite Limited (ASX:QBL) is pleased to provide an update on drilling and corporate activities at its flagship South Johnstone Bauxite Project in northern Queensland. In response to numerous shareholder inquiries, Queensland Bauxite Limited (ASX:QBL) wishes to give an interim update on the current status of the ongoing drilling programmes. Queensland Bauxite Limited (ASX:QBL) is pleased to provide an update on drilling activities at its flagship South Johnstone Bauxite Project in northern Queensland. During the recent quarter Queensland Bauxite (ASX:QBL) signed a Heads of Agreement ("HOA") with Far North Queensland Ports Corporation Limited ("Ports North"). The Company has now acquired its own drill rig capable of rapid and efficient exploration. The bauxite at South Johnstone is located at surface with minimal to no overburden. This provides for a potential simple low operating cost mining operation. When drilling results are at hand, these will be released to the market. Australian Market Report of March 2, 2011 includes: Queensland Bauxite Limited (ASX:QBL) was granted eight new bauxite tenements; Neon Energy Limited (ASX:NEN) updated on oil and gas exploration in Vietnam; AusNiCo Limited (ASX:ANW) announced further shallow, high grade gold-copper and nickel intersections at its Pembroke Prospect; Havilah Resources Limited (ASX:HAV) expanded Maldorky Iron Ore Deposit.